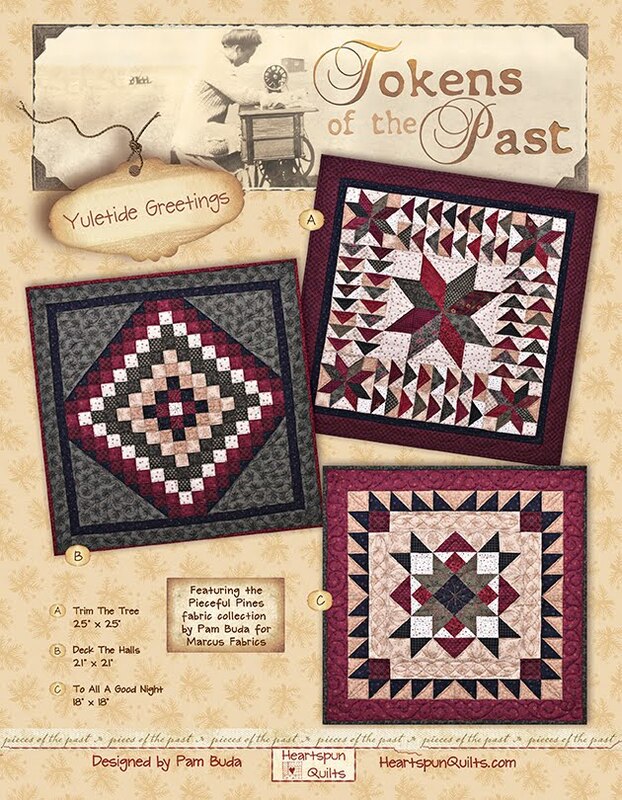 Pre-Order Your Treenware & Berries Quilt Kit!!! 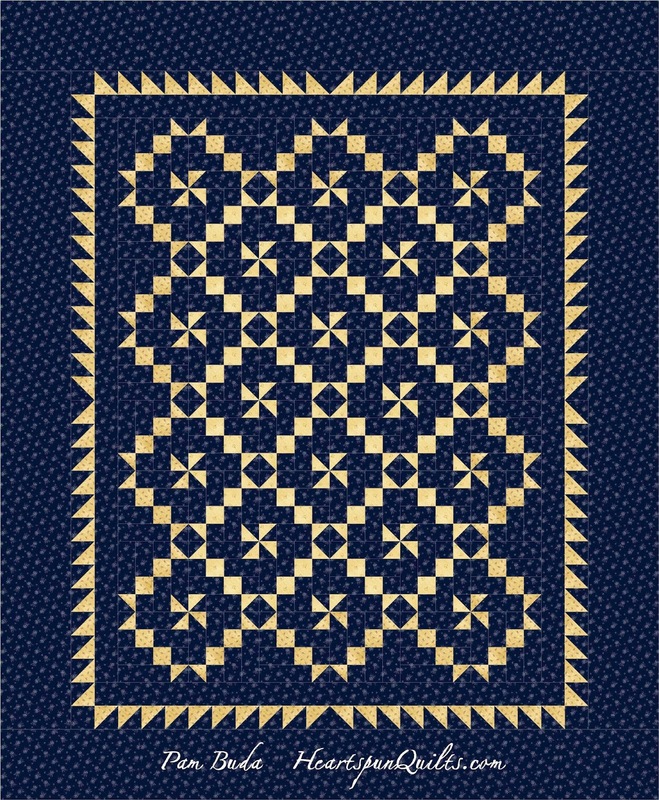 The quilt is being quilted right now, which means I don't have the professional photo yet, and therefore the pattern cover isn't ready either. I expect the fabric and the pattern to be here in March. 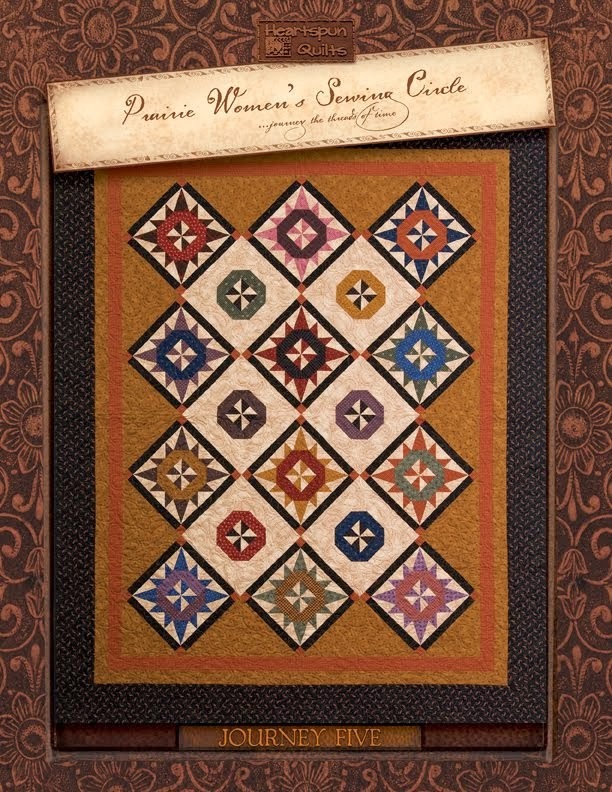 This quilt uses all of the fabrics in the Treenware & Berries collection!! The blocks are nice and big, finishing to 9.25 inches, and the Flying Geese in the border are 2 x 4 inches. Quilt size is 81 x 93 inches. and you'll receive the pattern FREE!!! 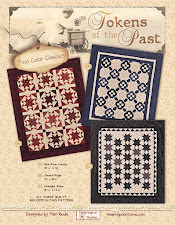 Click here to order the quilt kit. Click here to see all of the Treenware & Berries fabrics made by Marcus Fabrics!! 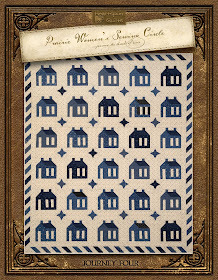 Treenware & Berries Fat Quarters and Fat Eighth bundles will be on my website soon! There will also be a 10 inch precut of this collection as well! Yay!!! 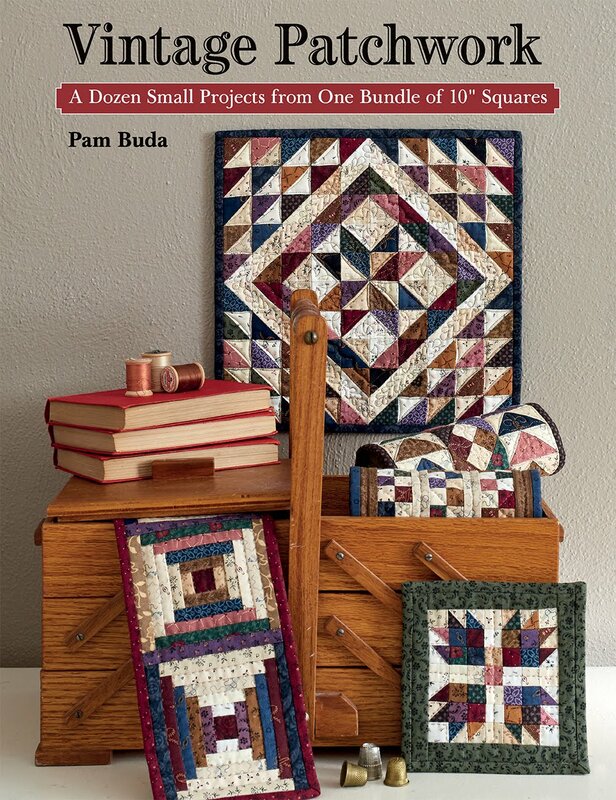 I'm working on a new Tokens of the Past pattern, called Spice Box, for the Treenware & Berries precut, and it will once again feature three small doll-sized quilts. Check out my Facebook page and Instagram if you'd like to see sneak peeks of the quilts in progress! 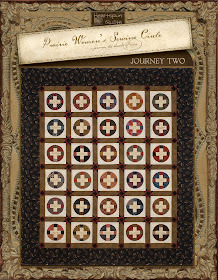 Here we are in month two of my Prairie Gathering Quilt of the Quarter program for Marcus Fabrics. I trust that you have completed your center block in month one!! Looking great so far. Did you measure each step?? Please, I can't stress this enough!! It's so, so important to measure as you piece each step which is why I give the measurements for you. As we begin to add on pieced borders, everything must measure correctly for all the pieces to fit properly. Super important with pieced borders, but honestly...that is true for every quilt you make, so it's a very good habit to have. 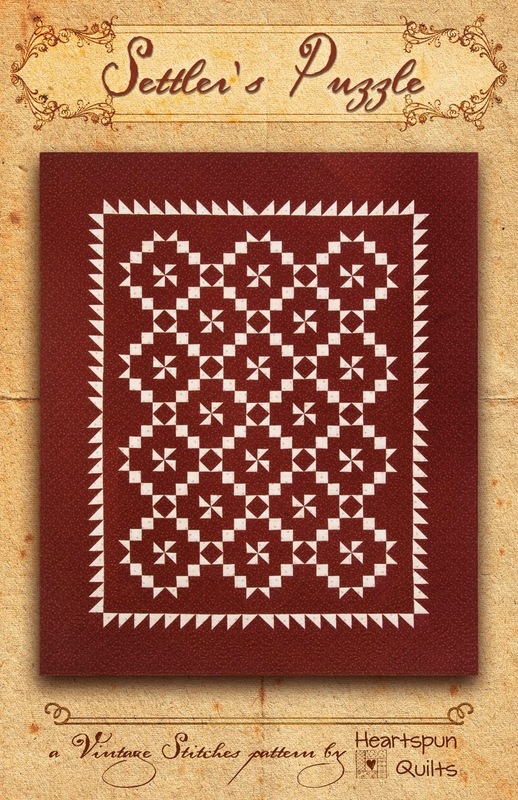 We begin this month making a bunch of Half Square Triangles from five red prints. 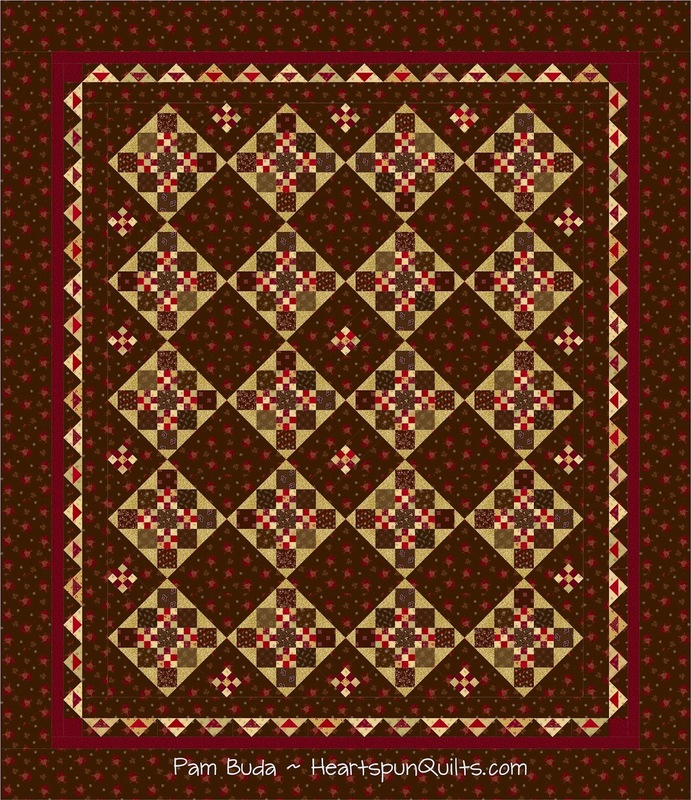 We will be using the darkest red HST in a block I call a Corner Square Triangle, and in this case, the "square" in the (lower right) corner happens to be a Half Square. 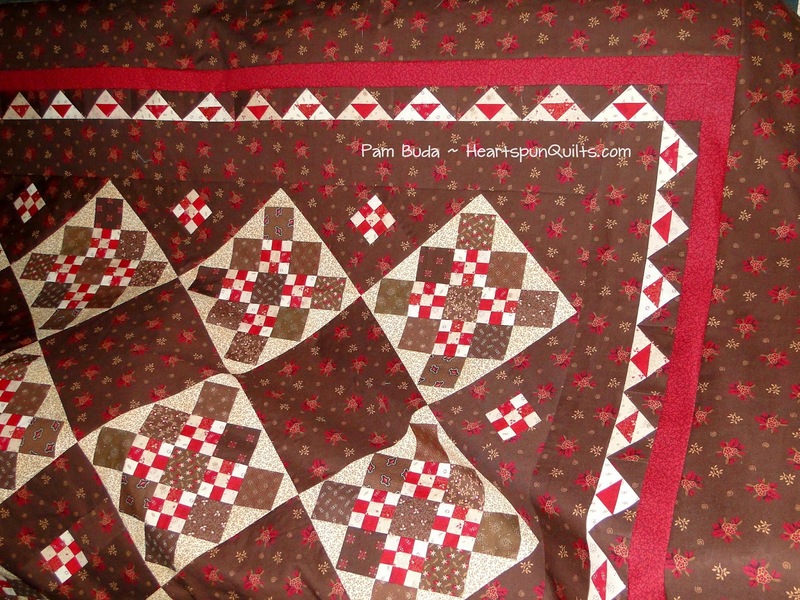 Follow the directions in your pattern to assemble the light print half of the unit, paying close attention to the position of the dark red HST, then add the larger red triangle to complete the unit. Make sure it measures as it should. Next, you'll be using the remaining four assorted red HST's. Follow your pattern instructions to sew the HST's into units as shown, and measure. You'll make (4) of these units. Using the same technique, you'll make (4) more Corner Square Triangle units, using a different light print. You now have all of the pieces to construct the larger center block. Using the block from month one, and the units previously made, arrange them as shown. Sew the Delectable Mountains units at the sides of the center block, press and measure. Sew the units into rows, then sew the rows together. You now have a completed center block!!! Yippeee!!!!! 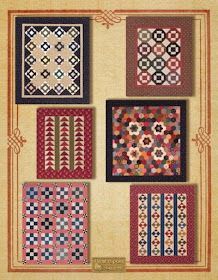 This month, we're beginning to piece parts of our Checkerboard border, making Two-Patch units. I arranged my squares so that I didn't have duplicate combinations and chain pieced them. Give them a press, and pop them into your zip bag for safe keeping until next time. 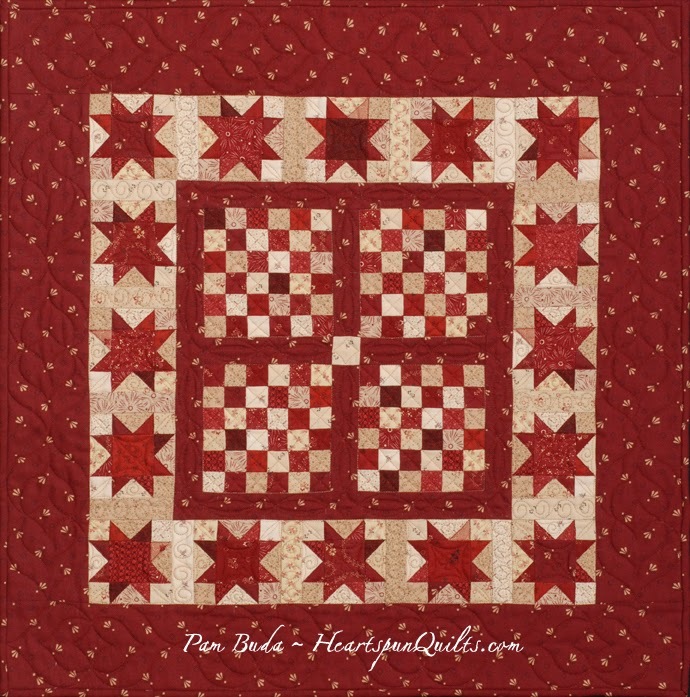 Put all of the cut pieces for the Flying Geese and Large Sawtooth Triangle borders, as well as the pieces for the Friendship Star and Ohio Star blocks into their zip bags for safe keeping until next time. I recommend you check the counts on the contents of your bags to be sure you have them all. Because so many quilt shops have the monthly kits ready to ship/pick-up on the 15th of the month, I will be posting my hints around the 20th of the month, giving some time for the mail carrier to make her delivery. Sometimes, as it is now, it's a little later than the 20th because "life" gets in the way of my good intentions! Please forgive. Just a quick post to invite you to join the fun as I travel to two locations next month for lectures and workshops. 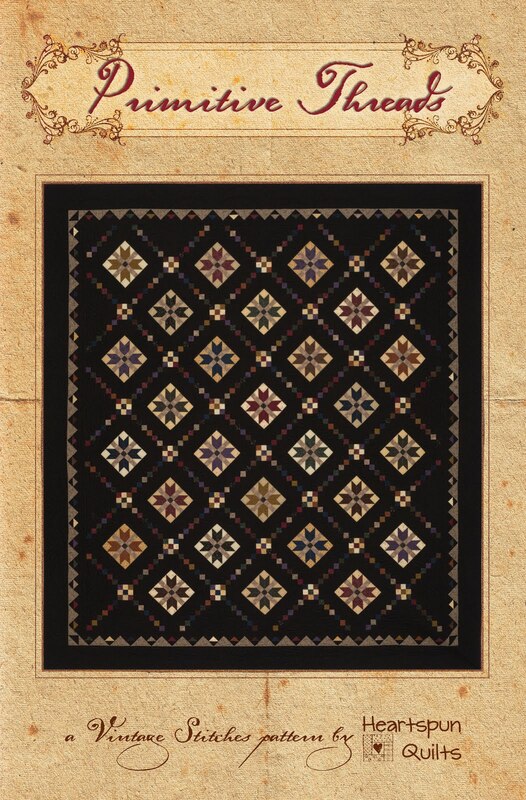 I'll be in Rockford, IL, March 5th & 6th, visiting the Sinnissippi Quilters Guild. 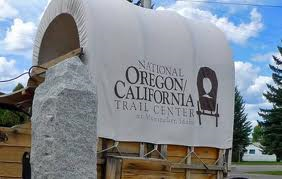 to Montpelier, ID, for a return trip to the National OR/CA Trail Center. 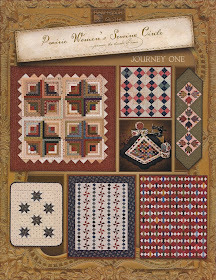 This is truly a wonderful place, and this time, I'm bring my BFF Lynne Hagmeier (Kansas Troubles Quilters) with me! Lynne will be giving her lecture the evening of March 26th in the auditorium of the Trail Center. 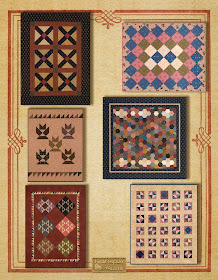 She's bringing a trunk show which will include her rarely seen Stitches on the Oregon Trail Quilter's Journal BOM quilts!! 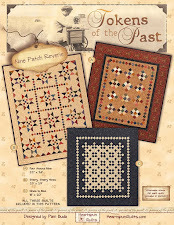 Lynne will be teaching a new project as well from her latest fabric collection, Clara's Garden. 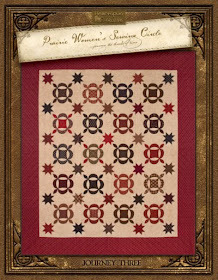 I will be teaching a quilt from my newest pattern, Tokens of the Past: Gathering In Red, called Checkerboard Stars. We have a whole lot of fun when we're together, and we'd sure love to have you join us!! Spring Thyme Blog Hop Line-Up!! 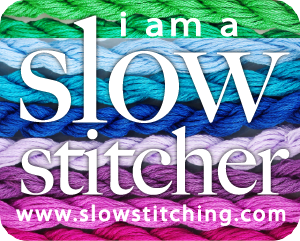 I'm so, so jazzed to post the line-up for our next handwork blog hop. We all have such a great time doing this, and we're sure hoping you enjoy it as well. I'm anticipating some inspiring spring projects. For those of us living in the Polar Vortex (I don't ever remember hearing that phrase until last year, but it sure is fitting! ), we can really use some signs that spring will return. Quite frankly, living through a winter sure makes us appreciate the renewal spring brings, right? Honestly, I can't complain about our winter at all when we have our fellow citizens in the Boston/New England area trying to survive the worst winter in 100 years. My heart goes out to all of you. 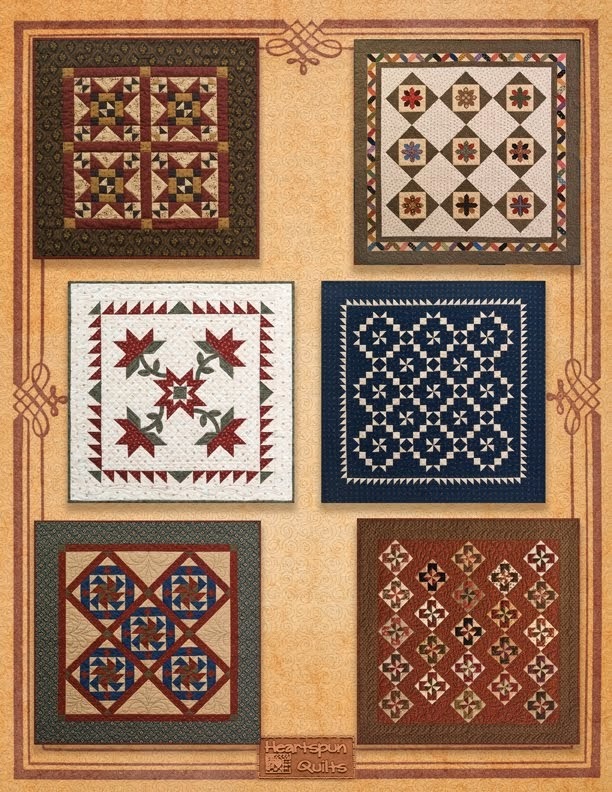 At least we know that the families of quilters have plenty of cozy, comfy quilts to keep them warm. 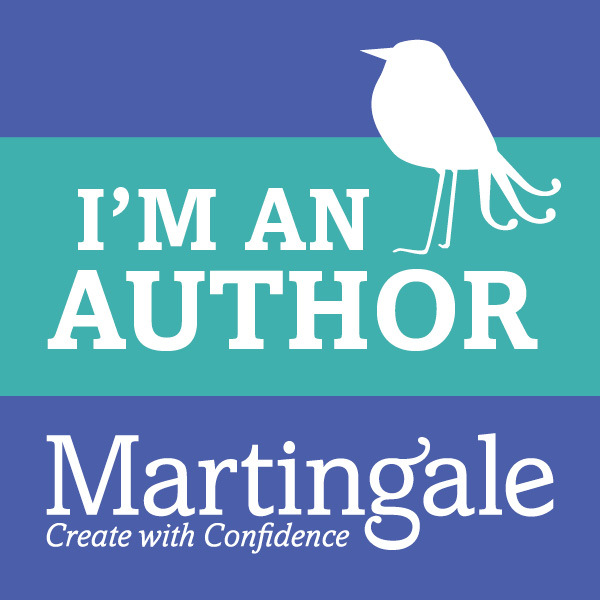 If you're not sure how all of this works....just visit the designer's blog on her day, to see the free project she has created for you, to read more about her and her work, and get a yummy recipe. Next week, I'll post my sew-along instructions for month two of A Prairie Gathering Quilt-Of-The-Quarter, and some photos of my newest quilt, Treenware & Berries. You can see sneak peeks of my progress on my Instagram & Facebook pages. 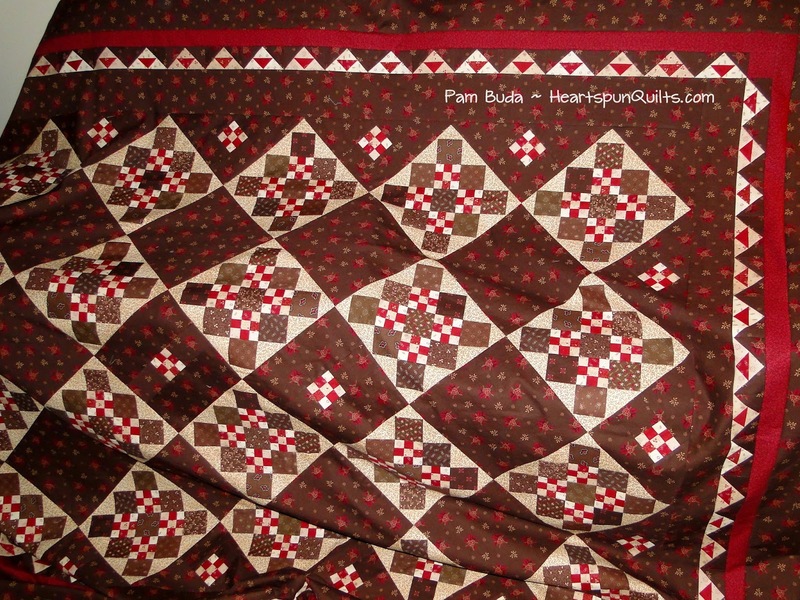 I have three more quilts to make out of Treenware, so if you'd like sneak peeks of those, follow me on those sights, and of course they will be right here on my blog. So, that's whats been happening with me. I hope you're warm and cozy, happily stitching away where you live. Counting the days until we spot the first blooms of the year! Well...it's that time of year again. Pre Quilt Market sewing is upon us. The great rush and crush of work that comes in getting all of the new things ready for the big event. It's still months away, and there's lots to do. I haven't been posting much because I'm working on new stuff that I'm not quite ready to show you, but it won't be long now. 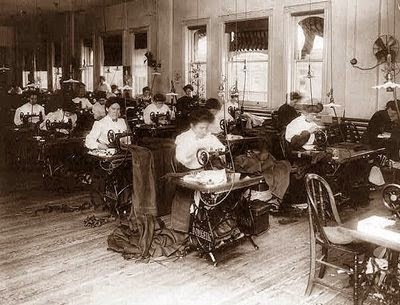 Deb and I have been watching a marathon of Downton Abbey episodes while our machines are humming along. My Treenware & Berries quilt is coming along nicely. I'm madly in love with how those blocks are turning out and can't wait to see it up on the design wall with the brown floral print that ties it all together. Better get back to the marathons.....I'll try to post progress soon. Guess what's coming back???!!!!! WOOHOO!!! 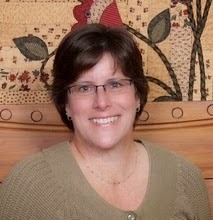 Another fabulous blog hop hosted by Stacy West of Buttermilk Basin. You know there's always wonderful FREE projects and yummy recipes. Mark your calendar to save the date as the Hop begins March 1st!! Stay tuned for the designer line-up coming soon. I am dreaming of something colorful and spring-y for you!! It was just a few days ago that I was enjoying warm, sunny days poolside on a vacation with my family. It was wonderful as both of our grown kids finally had clear schedules, and we all escaped the daily grind to relax for a week in the sun. We arrived home just as the first snowflakes began falling on what ended up being the 5th largest snowfall in the Chicagoland area since they've been keeping track of these things. 20 inches in 30 hours. Back to reality! All in all, we have no complaints. We had a safe trip home, and so far, our winter hasn't been so bad. It is...after all....still winter in the Midwest, so the snow we have is to be expected. Winter has its fun moments, too!! While I was gone....look what arrived!! Yay!!! 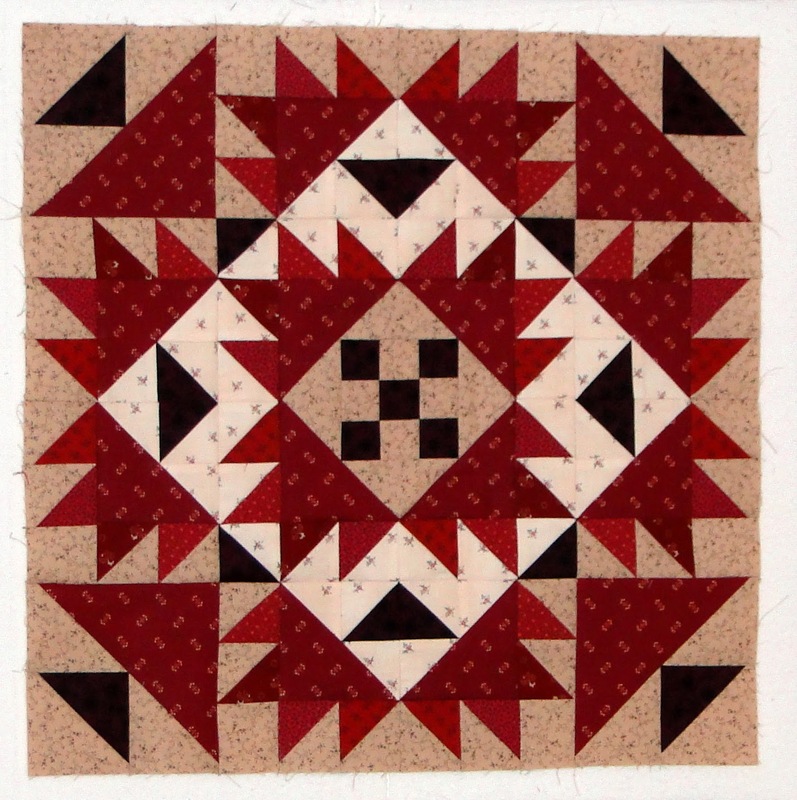 My Prairie Gathering 10 inch precuts are now in the house, which means that we can begin to process the Tokens of the Past: Gathering In Red kits! And, that's exactly what we're gonna do. If you ordered a kit, I will send you an email when it's shipping. Thank you all for your patience while we were waiting for these babies to arrive. January was a busy month with a lot of travel. 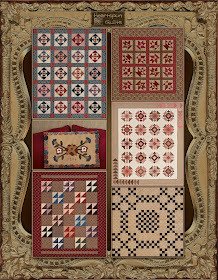 February and March will be crazy busy as I sew up the quilts I designed for my Treenware & Berries collection. I can hardly wait to get started!! There are other things fun things in store coming your way soon, and I know you'll love them. I didn't have too many blog posts in January, and hope to have many more in February...so stay tune to my blog, Facebook, and Instagram for pics of the quilts as we create them!! If the snow is falling where you are, enjoy the season as it really doesn't last all that long. Spring will be here before you know it! !